Annona muricata is a species of the genus Annona of the custard apple tree family, Annonaceae, known mostly for its edible fruit. 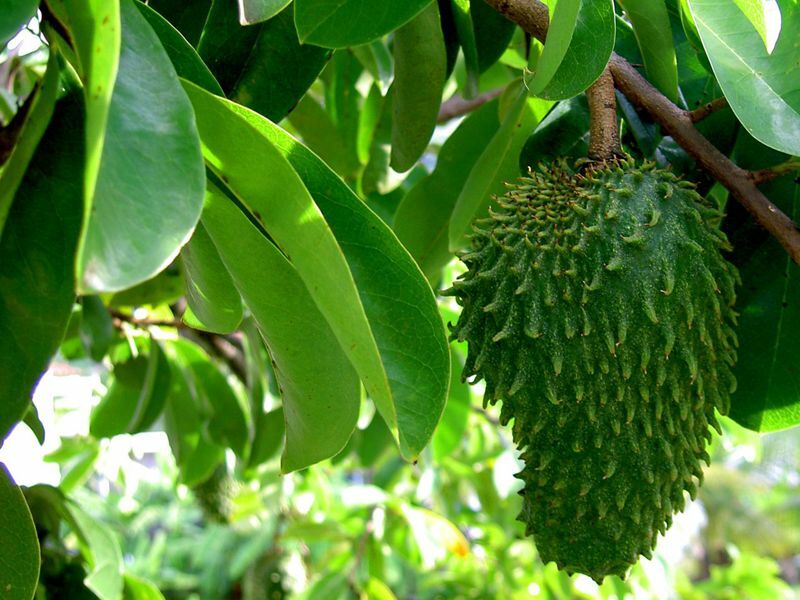 The fruit is usually called soursop due to its slightly acidic taste when ripe. A. muricata is native to the Caribbean and Central America but is now widely cultivated – and in some areas, becoming invasive – in tropical climates throughout the world. 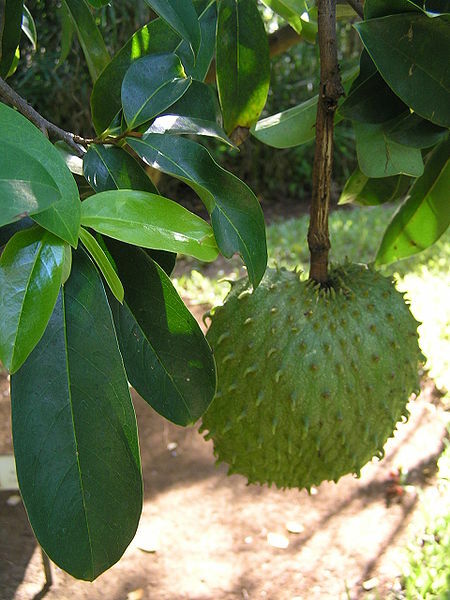 Annona muricata is a small, upright, evergreen tree that can grow to about 4 metres (13 ft) tall. The young branches are hairy. Leaves are oblong to oval, 8 centimetres (3.1 in) to 16 centimetres (6.3 in) long and 3 centimetres (1.2 in) to 7 centimetres (2.8 in) wide. Glossy dark green with no hairs above, paler and minutely hairy to no hairs below. The leaf stalks are 4 millimetres (0.16 in) to 13 millimetres (0.51 in) long and without hairs. Flower stalks (peduncles) are 2 millimetres (0.079 in) to 5 millimetres (0.20 in) long and woody. They appear opposite from the leaves or as an extra from near the leaf stalk, each with one or two flowers, occasionally a third. Stalks for the individual flowers (pedicels) are stout and woody, minutely hairy to hairless and 15 millimetres (0.59 in) to 20 millimetres (0.79 in) with small bractlets nearer to the base which are densely hairy. Petals are thick and yellowish. Outer petals meet at the edges without overlapping and are broadly ovate, 2.8 centimetres (1.1 in) to 3.3 centimetres (1.3 in) by 2.1 centimetres (0.83 in) to 2.5 centimetres (0.98 in), tapering to a point with a heart shaped base. Evenly thick, covered with long, slender, soft hairs externally and matted finely with soft hairs within. Inner petals are oval shaped and overlap. 2.5 centimetres (0.98 in) to 2.8 centimetres (1.1 in) by 2 centimetres (0.79 in). Sharply angled and tapering at the base. Margins are comparatively thin, with fine matted soft hairs on both sides. The receptacle is conical and hairy. Stamens 4.5 millimetres (0.18 in) long and narrowly wedge-shaped. The connective-tip terminate abruptly and anther hollows are unequal. Sepals are quite thick and do not overlap. Carpels are linear and basally growing from one base. The ovaries are covered with dense reddish brown hairs, 1-ovuled, style short and stigma truncate. 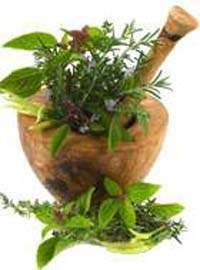 An extract from the leaves has been reportedly successful in lowering elevated blood pressure by its decreasing peripheral vascular resistance. Fruit shows anti cancerous property. It is believe that fruit have significant action in cancerous patients. Patient must ask an expert advice from qualified physician.